Homespun Stitchworks..... For the love of vintage: Memories stitched with love and stunning vintage fabrics! 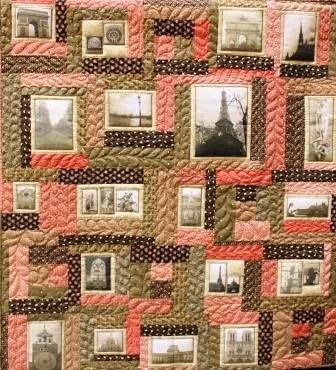 Memories stitched with love and stunning vintage fabrics! My memories will be stitched with love. It has been quiet a week at Homespun Stitchworks! I have had to get things ready for publications and I have been awaiting things in the post.... The eyes have arrived for Bonnie bear and now it is a deciding process. I bought several pairs as I knew what I did not use on her would get used on my next project. I have got green, blue, violet and light and dark amber.... So now over the weekend there will be a choice to make. In addition to that I want to start my next project on needle felting. I have been sorting out a little and have found some fabulous old pictures of family. I have decided to make a small memory quilt with them. I have found some of that fabric that you can put through a photocopier and then you have photos on fabric. Then I can surround them with bits of vintage fabrics from delicious paisley patterns in a log cabin effect.... I want to give it a go. I will need my husband to do the photo copying as he is better at such matters and he is a lot taller than me and can see what he is doing on it properly. Our copier is in his office an on a shelf, me balanced precariously on a chair is not a greatest of ideas! On Sunday I think I will do a little sketch of this to see if it will work on paper like it has in my mind. I would like to do some embroidering of little flowers on there as well. One of my other loves is history and genealogy and I have traced my fathers side back to 1600's and now I am doing my mothers side, they were very much military people on the male line and I am very interested in my maternal female line as well.... I think think this little quilt (possibly a wall hanging) will be a lovely edition to my finds. Today I am finishing off something that is for the craft book and then I have a commission to think about, It is quiet simply a sweeping up day for me. I hope you have a lovely weekend and do not forget the stitch of the week tomorrow. Next weekend it is the Pamphill vintage fair on Saturday and I am very much looking forward to it. Keep warm and Happy Stitching! photocopy paper ......... wish me luck!